For the first humans who entered the ancient shadowy forests of Europe fairies were always present, like whispers that lived inside every primodial tree, every mountain, every rock. 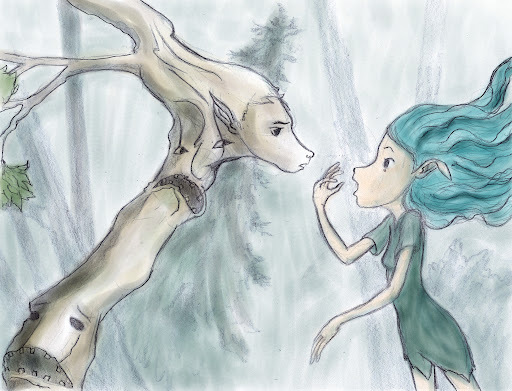 But this isn't the story of humans, it is not art from our past, it is the art of fairy, the tale of the fairies which control the fate of humanity and the world as they struggle to determine how they should shape the world at one of the most pivitable but often forgotten points in human history. 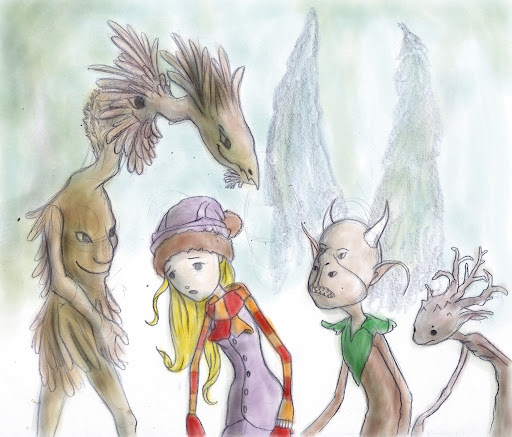 Rumpelstiltskin, Little Red Hood, the Wicked Step Mothers, and all the tales controled by the fairy writtend to tell the tales of individual fairies as they struggle to interact with the rapidly changing world. One Yule Eve Danuta performs a ritual to see her future love and sees the face of a forest demon. Terrified she tries to flee this fate only to find that its too late. 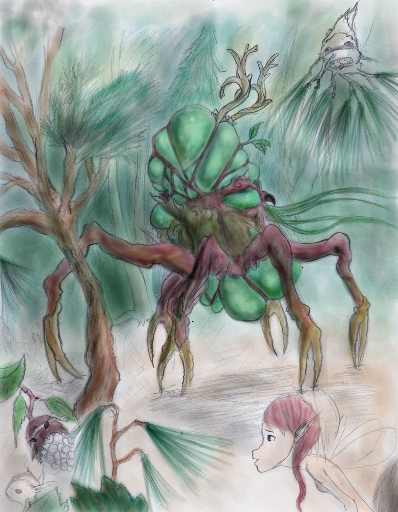 Now she is trapped in the primal forests of dark demons and wicked fairies, dependent on the forest demon she tried to escape for her survivle. The story of Hook when he is first lost in Neverland and of a girl who is trying to escape Neverland. 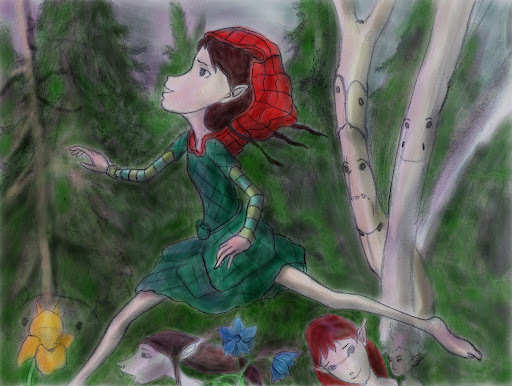 Little Red hood is the a healer, bringing herbs to cure her grandmother when she encounters the King of the Forest, the most dangerous fairy of the woodlands. 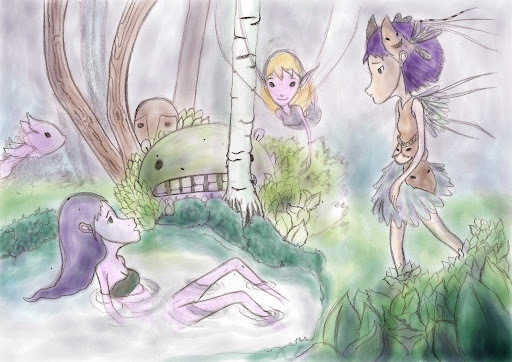 This encounter drags her into a war between three groups of fairies. 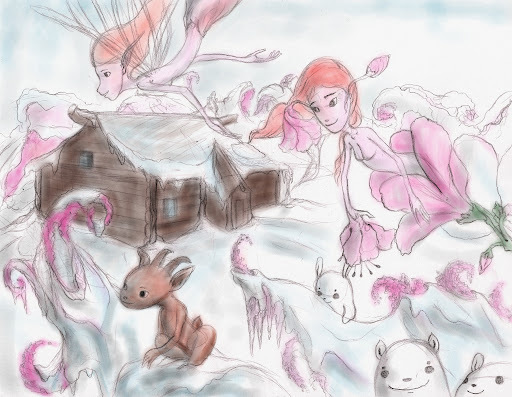 Four sibblings discover a grove of trees which are blossoming in winter time, intrigued they walk in, but once inside the fairy realm they are trapped forever. Now they must make their lives in the realm of fairy. The world is filled with wonder, for it is teaming with fairies just waiting to burst across our thresholds. 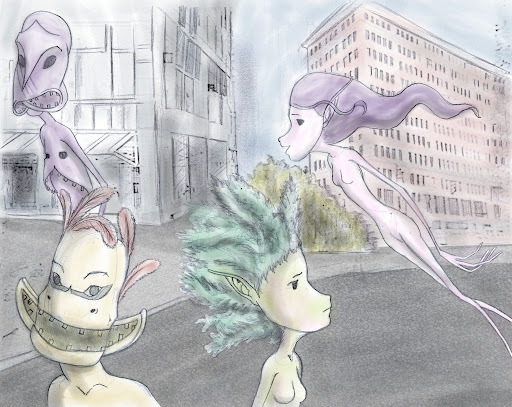 This is the tale of fairies in the modern day with the kings and queens of fairy have out lawed their interaction. But some few fairies choose to disobey this mandate, forming a rebelian. 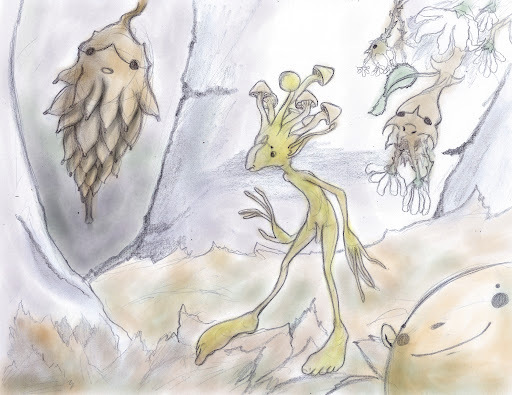 A gallery of fairy art which is meant as concepts to help inspire story tellers interested in creating stories about fairies.